The BP Marionettes Youth Chorale & Children’s Choir present SHOWTIME II! 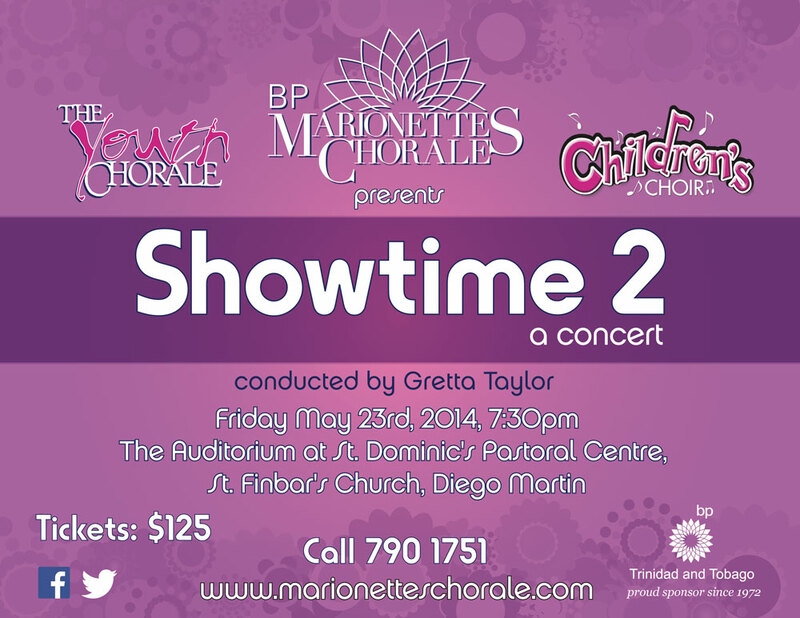 The stage is set to come alive as the BP Marionettes Youth Chorale and Children’s Choir present SHOWTIME II, carded for Friday May 23 at the Auditorium, St. Dominic’s Pastoral Centre, St. Finbar’s Church, Diego Martin, starting at 7.30pm. A sequel to the first SHOWTIME — which featured a three-year-old Youth Chorale in 1998 — SHOWTIME II promises once again to provide numerous electrifying moments for music lovers of all genres! Under the artistic direction of conductor Gretta Taylor, along with input from their senior choir counterparts, the young choral singers have been sacrificing their weekends to ensure that the concert is nothing short of excellence. 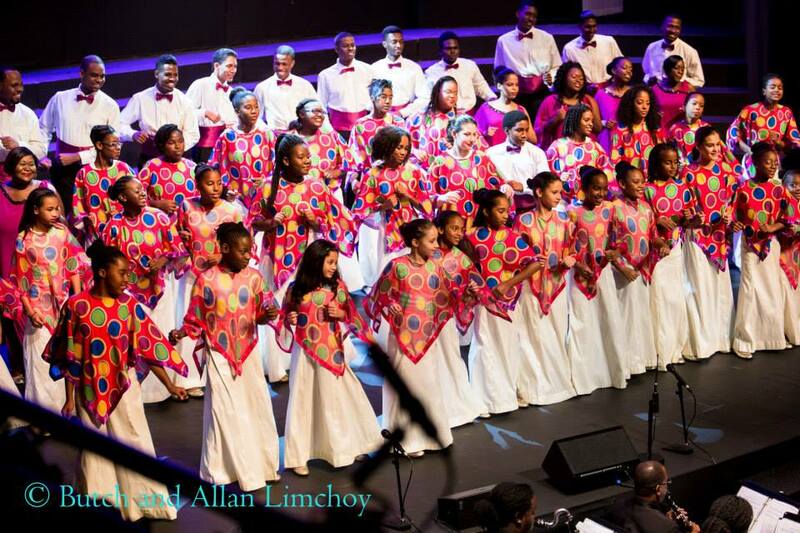 Come 23 May, patrons can expect to enjoy a wide-ranging repertoire comprising excerpts from popular musicals – not surprisingly by composers noted for creating children’s works – as well as African, Gospel, Calypso and Folk choral music. A special segment will be dedicated also to performing selections from LES MISERABLES, a major musical scheduled to be staged as a full production in July this year by the senior Marionettes. Asked about the reasons for hosting the mid-year concert with the youth as the main focus, Marionettes manager Joanne Mendes offered: “As this is our golden anniversary year and not many of the children and none of the youth will be involved in our production of Les Mis, we decided to provide a creative outlet to display their first half year’s work. The children are delighted and have been giving it their all in rehearsals”. SHOWTIME II makes for great family entertainment, while showcasing excellence in performance, musicianship and production – elements that have undoubtedly defined the award-winning Marionettes Chorale over the past 50 years. For more details, contact: 790-1751 or log on to the web site: www.marionetteschorale.com. For media enquiries, please contact Marva Newton (753-0156, or mnewton@tstt.net.tt).